When I think about the things I did when I was young and invincible, it makes me cringe. Or, at the very least wonder how I made it this far. Of course, as the old saying goes, had I known I’d make it this far, I’d have taken better care of myself. 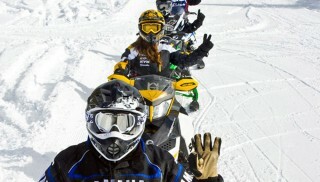 As a youthful snowmobiler, racing helped control those urges to speed and take calculated chances. Lessons learned on the track helped make me a better recreational rider. At least that’s what I want to believe. If nothing else, it made me a bit more relaxed on trail rides or in long safari convoys. When you know you can go fast and had trophies to prove it, why hot rod on a weekend club ride? No need. Still, though, those early days of snowmobiling were probably as dangerous if not more so than today. Granted, high horsepower was 50 to 80 and few sleds could top 100 miles per hour unless they were fully race-prepped. But even at those lower speeds, the sleds were woeful handling things and the state of the trails tended to be woeful as well. Even as snowmobiles and trails improved, there have been inherent dangers in our sport. Much of that danger is, unfortunately, self-inflicted. Over the decades the many snowmobile user groups at local, state and national levels tried to invoke caution and warn us of the dangers. The Zero Tolerance program warned of riding while intoxicated, a once too common practice that achieved great notoriety on national television. 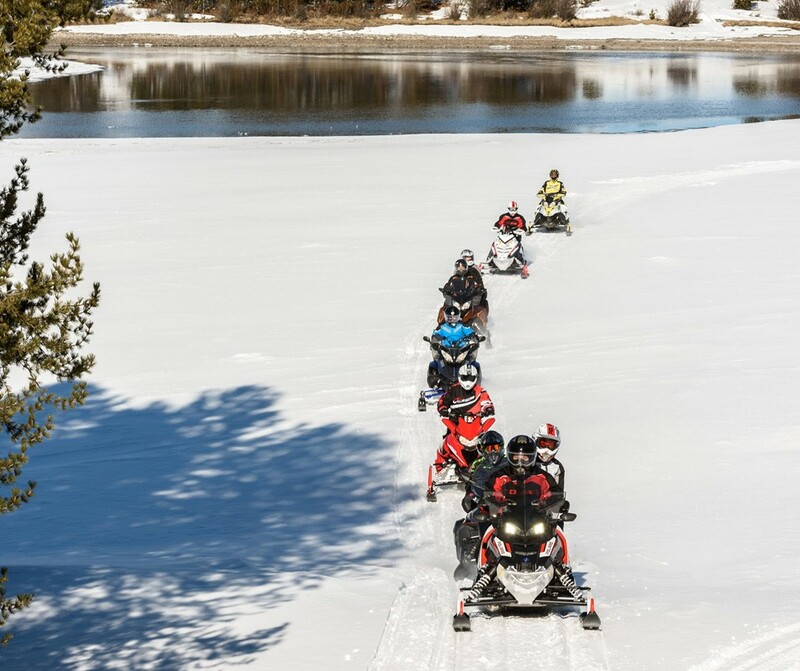 Speeding brings danger as well, but snowmobiling remains by and large the last bastion of wide open thrills, even if some states created maximum speed limits for night time riding. Then there is the appeal of the mountain man, getting back into the wilds, climbing steep mountainsides, shooting off slopes and working up to windblown summits. This experience has the obvious danger of initiating a snow slide and then a full-fledged avalanche. 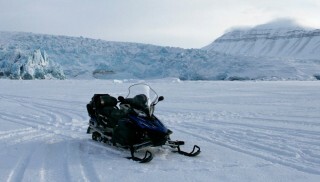 Even with this risk, the best-selling snowmobiles in recent memory are designed to take riders to the high and deep areas of North America’s snowscapes. The manufacturers feel the campaign has been effective with information pieces sent to safety trainers and enthusiasts free of charge. 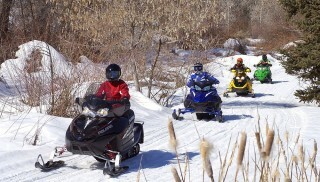 Still, we snowmobilers like the thrill of the high ride and challenge the limits. To that end, the snowmobile industry has instituted another safety program to help us rein ourselves in a bit. The Backcountry Ascender program is a free and simple backcountry and avalanche educator. 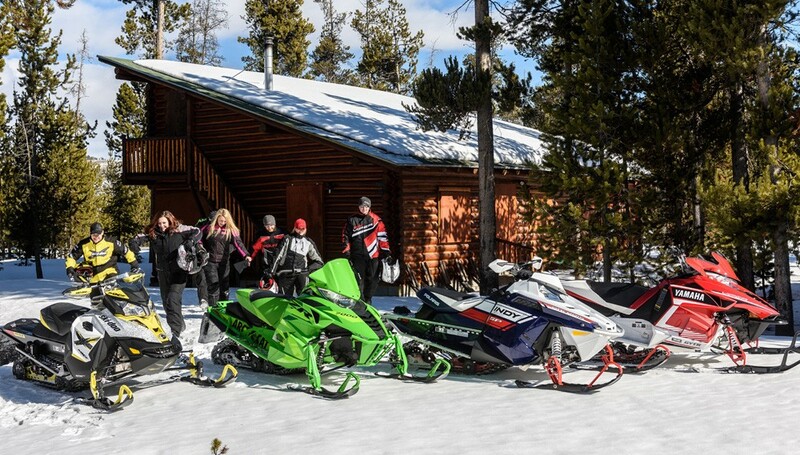 According to the International Snowmobile Manufacturers Association, which spearheads the concept, “The application uses good-natured competition to help riders learn and improve their backcountry knowledge, skills, practical experience, and confidence. Why create another avalanche awareness program for snowmobilers? Seems that despite the industry’s best efforts in spreading awareness, social media may be undermining those efforts by creating peer pressure for riders to try unfamiliar areas that they may not be experienced or capable of handling. ISMA admits that avalanche knowledge dissemination currently is not effectively reaching enough riders, especially the many new mountain riders. 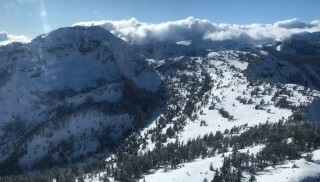 Gaps in avalanche education and a lack of backcountry skills has more new backcountry snowmobilers riding into troublesome situations. The primary objective of the ISMA backed program is to make snowmobilers the most prepared and knowledgeable back country user group in the mountains. 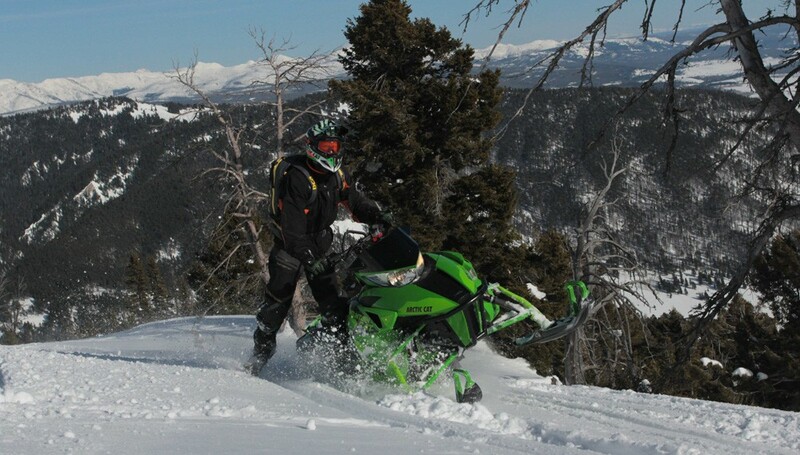 ISMA and the snowmobile manufacturers believe that too many snowmobilers do not recognize avalanche terrain, are not checking forecasts or altering ride decisions based on the information they find. Even though individuals may have the proper gear, too frequently they have not learned how to use it. The curriculum, which is based on a peer approved content starting with Avalanche Canada and the American Avalanche Association, will evolve as new content is continuously added and updated. ISMA, the Backcountry Ascender team and avalanche trainers involved in developing the program have found that most snowmobilers pride themselves in being knowledgeable about their machines and in their riding skills. ISMA and the Backcountry Ascender team looks forward to expanding the education of snowmobilers across the world and working with all interested parties in continually improving, sustaining, and expanding the plan. The hope is that the program will help curtail avalanche-related snowmobiling deaths, which numbered more than 25 last season in North America. Avalanche.org reported 11 snowmobiling fatalities, including one snowbike rider, from Colorado to Alaska. Avalanche Canada revealed 15 avalanche-related fatalities, primarily in British Columbia. 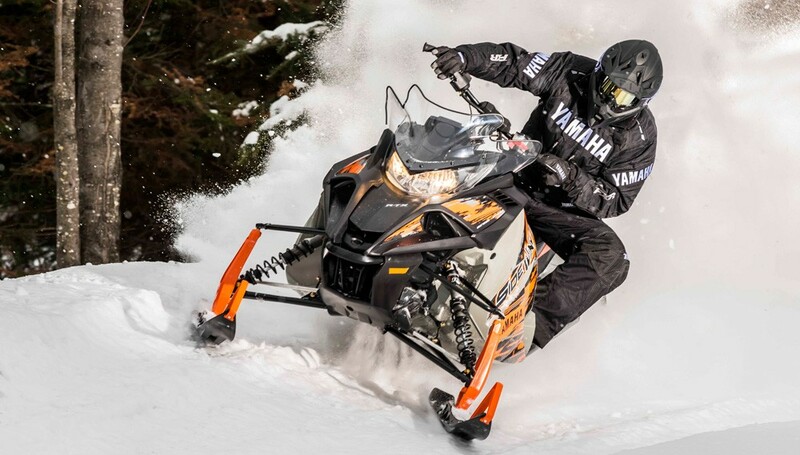 While the lure of the deep snow mountains may draw snowmobilers into making poor choices, we can’t help but note that too many riders make equally poor choices in the Midwestern states of Michigan with 24 deaths, Minnesota with three and Wisconsin with nine. Alcohol and speed were the primary factors. In Canada Ontario reported 18 fatal snowmobile accidents and Quebec reported more than 26 fatalities, the most in seven seasons. You can’t legislate stupid, but we can admit that we are neither forever young nor totally invincible. Today we have sleds that can get us to places we’d never have considered a decade ago at speeds and with power that only race sleds once had. Our safety is our responsibility. Maybe as you get older, you, too, will wonder how you made it and be in awe of the fact that you did. Ride safe.